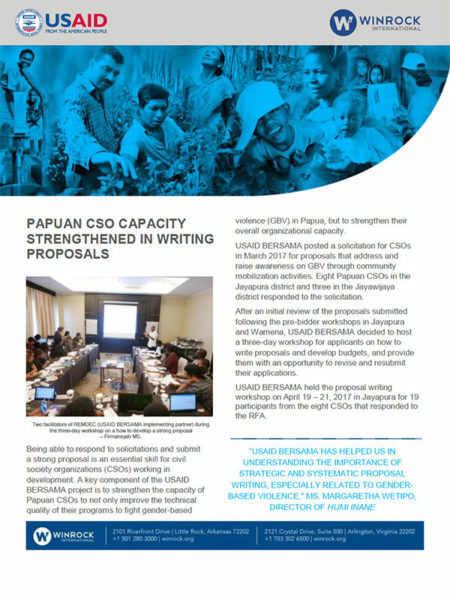 Changing hearts and minds to end gender-based violence means creating local solutions to this pervasive problem. 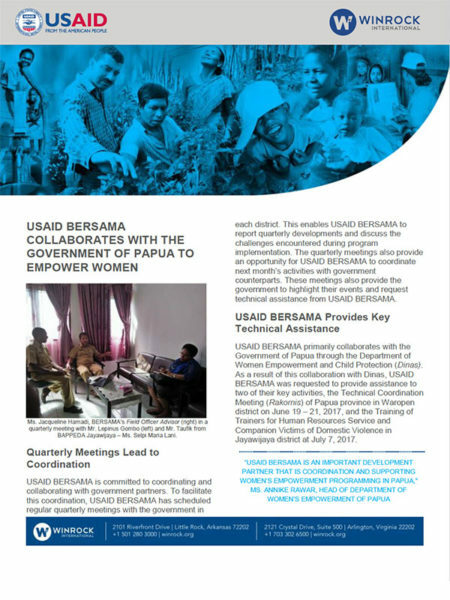 Working with and through local people and organizations, the program will foster collaboration and support for gender equality as it mobilizes communities, improves services for survivors, and strengthens local organizations in Papua and West Papua, Indonesia. 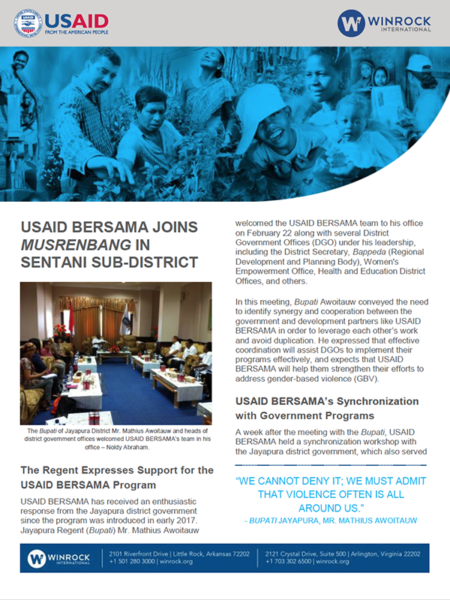 This five-year USAID program works in partnership with Resources Management and Development Consultants and in close coordination with the Government of Indonesia and local civil society organizations.